Registration for spring opens tomorrow so let’s talk about how many courses you should enroll in on any given semester. The MA program has since its inception considered two classes/semester to be full time, as this is (with some exceptions) an industry standard for MA English. Recently though the College has gotten loud with us about its overarching full-time/part-time policy, which is officially that full time is three courses/semester, and any less is considered part-time. This does not mean you should take three courses per semester if you’ve been taking two courses/semester up to this point. Absolutely nothing has changed in terms of financial aid, if you’re receiving such loans. The financial aid situation for students taking three courses is and has always been slightly different than for students taking two courses, but nothing about that has changed. All that’s changed is that the College is requiring us in the MA program to now tell our students that if you’re taking two courses/semester, you’re officially part-time in terms of your coding in the College’s system. The thing is, this is how it’s always been; our MA program has just internally used the industry standard of two courses/semester when designating our students as full or part time. SO, here’s the bottom line. We still recommend that students take two courses per semester, especially if you’re working, have care-taking responsibilities, or have any significant other life-responsibilities you’re balancing out each week with your schooling. Two courses/semester is generally considered the right pace for truly spending the right amount of time each week on each of your courses, in terms of studying (which is different than just reading) your syllabus assignments, hopefully venturing out into other readings beyond the syllabus, and developing your research papers. Three courses is doable for some; but it is a lot of work, can quickly become overwhelming, and can make earning the degree feel like a chore. I’ve had students accidentally take three courses because their staff advisor told them to, and when I’ve suggested that they back off and take two courses they express relief as well as confusion as to why they were told to take three in the first place (answer: because your staff advisors are following the College guidebook of 3/semester rather than the MA recommendation of 2/semester). Let me know if you have any questions by emailing me at cloots@mercy.edu. Again, my advice is to keep taking exactly the same amount of courses you’ve been taking each semester, if that amount has worked for you. Interested in applying? 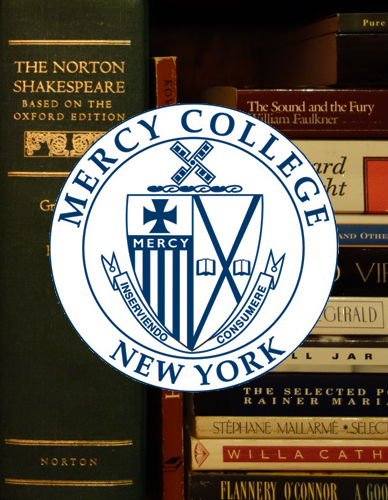 Click here to proceed to the official Mercy College online graduate application. Be sure to read up on the applicaton requirements and procedures on pages 3 and 4 in the Graduate Student Handbook, available for download on the left side of this screen. A Few Things: The 2019 Symposium; & Any News About Achievements? 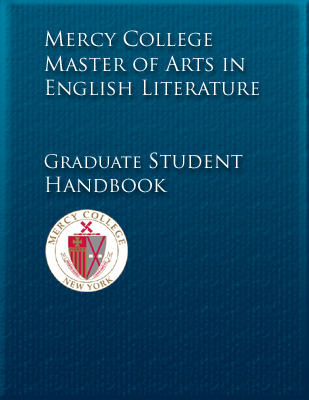 This is the director's blog for the Mercy College MA in English Literature Program. This is not the official College site. The purpose of this is to share news and other information to help MA graduate students stay current with the state of the program and navigate the MA degree. Students in the program should check here regularly to learn about upcoming registration periods, course schedules, and other news. 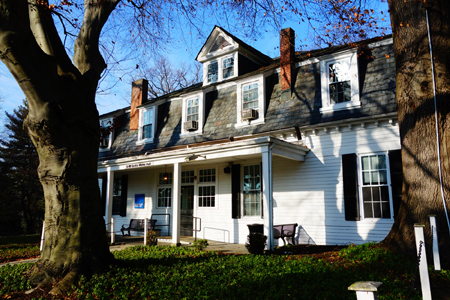 Click the image above to visit the official website for the Mercy College MA Program. Click the image above to download the Graduate Student Handbook. Note: opening the PDF in your browser can result in distorted graphics. Downloading a copy and then opening it on your computer in a PDF reader like Acrobat corrects this.